SheLectricity is a girls’ empowerment ecosystem designed with girls of color at the center that brings together technology, culture, and community to create safe and nurturing online and in-person environments for girls to learn, grow, innovate, and lead. Through interactive tools and experiences, SheLectricity girls engage in Creativity, Personal Development, STEAM-based learning, Entrepreneurship, and Network Building. Our unique, integrated online/offline service model combines the broad reach and youth orientation of a social media app with the intimacy and safety of adult-curated, place-based programs. By bringing together the best of these worlds under one curated ecosystem, we believe that SheLectricity can transform girls’ lives at scale. 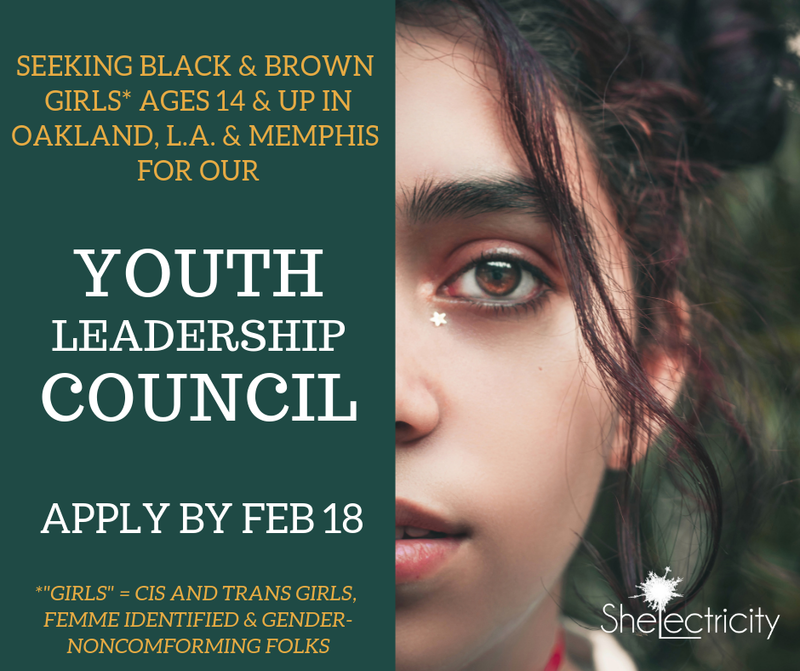 SheLectricity is launching its first-ever programs in Los Angeles, Oakland, and Memphis, TN and is currently seeking youth leaders to serve on our Youth Leadership Councils (YLC) to help guide the overall vision of the content and programming. The deadline to apply is February 18th! Find more information on the program, as well as application details, here. This opportunity is hosted by SheLectricity, a member organization of Alliance for Girls.